Revise your firm's basic information inside Firm Settings. You can view and edit basic information of your accounting firm inside the Firm Settings section of JuanTax. 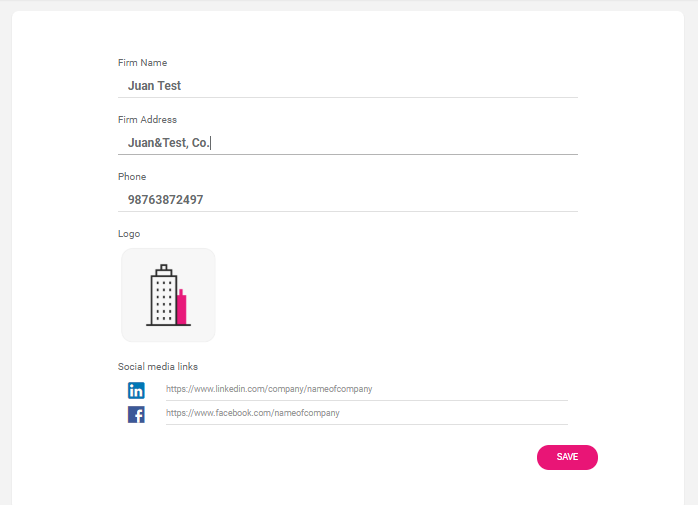 All you have to do is to click the Firm Information menu, then start editing some of your basic information such as Firm Name, Firm Address and Phone as well as social media handles like Facebook and LinkedIn. Simply click Save button once you’ve finished updating any details in this section.